Farmers are constantly looking for ways to broaden their horizons on the field and road, as it is essential for operators to make the most of their equipment. The power, versatility and efficiency incorporated in the John Deere 6630 series tractors allows farmers to widen their scope without ever having to sacrifice reliability. While there are many added benefits of the 6630, let’s take a look at four key gains that farmers will experience from using this tractor. The John Deere 6630 has a particularly vast front window and an optional glass roof hatch to provide a spacious view of all that is surrounding the tractor. 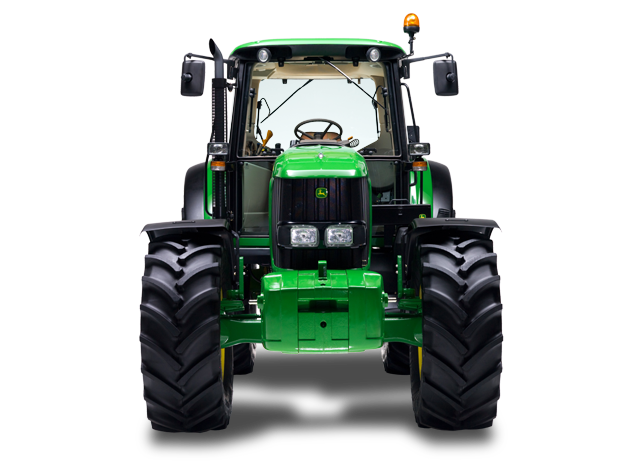 An optional tiltable front windshield is also available to adjust and improve cab air circulation throughout the tractor. With a clear view of the rear drawbar, operators will be able to practice a quicker and easier hook-up process. Operators can step into the roomy cab from either side and be embraced with comforting and convenient elements. Controls are thoughtfully placed in reachable areas for the operator’s ease. For example, a left hand reverser is available to make loading work much less strenuous. The double-sided entrance, high volume airing, and open cab area guarantee that operators are receiving the highest level of comfort all throughout their day. With the John Deere 6630, operators will be cradled in comfort as they power through their daily routines. The high horse power and consistency of the John Deere 6630 series tractor make it desirable for livestock and arable operations. The reliable 6.8L engine combined with 130hp gives farmers everything they need to improve their everyday operations. Operators will also have great torque and added power coming from the dual-stage temperature cooling system and charge air cooler, which also minimizes fuel usage and equipment upkeep costs. 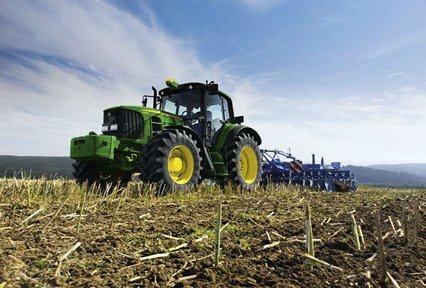 The comfort and productivity included in the John Deere 6630 tractor go hand-in-hand with one another. By giving operators the comfort they want, it reduces possibility of fatigue and increases their productivity levels. The Triple Link Suspension provides operators with extra comfort and a chance for improved performance on the field and road. Dependability and versatility are crucial aspects in the livestock business, and this piece of farm equipment delivers both. The left hand reverser allows quick changes of direction no matter what task is being performed, eliminating any disruptions to efficiency on the farm. With the John Deere 6630 series tractor, farmers are able expand their horizons with better visibility, improved comfort, broader line-up, and greater productivity. These benefits work in collaboration with one another to help farmers stay one step ahead of the game and always on top of their livestock and arable operations. Although these are just a few of the many benefits, hopefully this has provided you with a better understanding of all that farmers have to gain from using the 6630. If you enjoyed this post and would like to see more like it, feel free to connect with us on Facebook or Google+!